Highly Recommend written by mobile Nice. Great bargain. Very fast delivery and items received in good condition. Netural Received in good conditions but did not receive the silver polish cloth. Received in good conditions. It's sparkly. Disappointed because did not receive the silver polish cloth even though paid extra for another piece . Happy with the product bought. Very nice. Thank you seller for fast delivery. Received and happy with purchase. Seller sent the wrong item & not give the polish cloth. One of the Swarovski fell off. Need to go shop which at Johor to exchange which too far for a earring. Lack of quality itself. I purchased A Classy E Rose Gold Earring during the Buy 1 Free 1 promotion on July 4 2018 with my cart no. 76360974. The earring was supposed to be nice shiny rose gold has now totally discoloured in just 3 months and it is now black/ rusty while still unused in the original box. The item is new in box and was suppose to be a gift for my friend’s coming birthday. I am totally disappointed with the item as it is still new and I would like to receive a refund. You may have the item back to facilitate the refund. Hi dear, we are sorry to hear about your experience however we only offer 30 calendar days carry in warranty from date of shipping. And the warranty period for your order has already expired. Our jewellery are all lead and nickel free hence it is gentle even to sensitive skin. However due to lack of these chemical, they might tarnish with prolong exposure to water, sweat, alcohol (perfume etc) or even air, which cause it to oxidize. The best way to keep these jewelleries and to maintain its shine will be to wipe it down with a silver polish cloth and/or keep it seal in a zip lock bag after each use. Thank you. The above picture is a detail jewellery care instruction, thanks. Feel free to contact us again if you need further assistance. Thank you. Hi. Good day to you. The earrings casa whether is stock available? 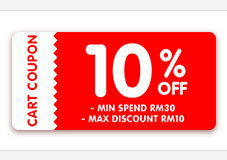 Hi, our shops are located at JB - Aeon mall and City Square mall. Most of our jewellery are made with brass coated with white gold. Certain series are made with 925 silver. Material used will be stated under the product description.